Can you say “country music shindig”? 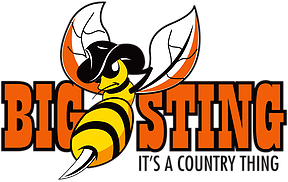 Come out the the Big Sting – It’s A Country Thing 2016 from Friday, October 21st through Sunday, October 23rd at the Bumble Bee Ranch, 50 miles north of Phoenix. You’ll see people you know and you’ll get to hear great artists such as…Trick Pony, Aaron Watson, Shari Rowe, Matt Farris, Davey Arnold, Dylan Jakobsen, Tyller Gummersall, Drew Cooper, Michael Harter and Two Way Crossing. This event has the heart of others in mind as they provide serivces and financial asssistance to northern Arizona residents battling life-threatening diseases with the proceeds. If campsites, vendors, activities, music, food, black jack tournaments or ORV riding sound fun, make your way out. Check it out more here.